who is making & building a better world? "This conference presented relevant, tried and tested strategies for digital transformation by speakers across the sector. Chris [founder & organiser] has a good eye for picking the right topics that would resonate with the audience interested in digital transformation"
Bruce Daisley serves as Chief Executive Officer of Twitter UK. Bruce has been the Managing Director of United Kingdom Operations at Twitter, Inc. since September 2013. Bruce is responsible for creating an advertising business for Twitter in the United Kingdom. He has served as the UK Commercial Director at Twitter from December 5, 2011 to September 2013. He joined Twitter from Google. With an increasing demand on the charity sector to provide vital services to more and more people in need, alongside user’s expectation being driven by their everyday experience of ‘best of web’ digital services, the sector is being forced to digitally transform the way they deliver services to provide new and varied ways for people to get support, raise money and operate in order to ensure they’re fit for a digital world. Helen’s job is to keep all of the plates spinning! She’s both hands-off - planning for an ambitious future - and hands-on - motivating the team and our partners to do the best they possibly can. She’s passionate about helping people to get the most out of the web and all of the opportunities it brings. She loves talking to the people in local communities who make it all come together, and to the wonderful people who have taken the plunge to do something different and digital with their lives. Experienced marketing and growth lead, company advisor and mentor. Part of the crowdfunding management team. I have over fifteen years history in marketing. With strong experience in organic search (SEO), paid media, including ten years in Social Media (yes before Facebook) and content marketing. I specialise in growth based marketing, developing brands, SEO, Social media management, content marketing and mobile app positioning. We curate the day to the highest standards ensuring we feature an industry heavy agenda with hands-on practitioners sharing real life examples of work, use cases, the challenges faced and the technologies used. A huge array of digital technologists will take part in the event, it's a great chance to forge long lasting business relationships, share common business challenges and stay up to date with the competition. With regular breaks and purpose built networking facilities we ensure that you are able to meet as many delegates as possible - we offer great content but realise that's not enough and we assist at every level to make networking easier and more fun. We are a highly rated events company when it comes to diverse agendas, nobody wants to sit in a room for an entire day listening to back to back presentations, we offer differing formats, lengths of talk and spark interesting debate. From live stage interviews to panel discussions, we cover it. Legacy systems are prohibiting an agile methodology on tackling change, how are big companies becoming more adaptable to change? There are many tools and technologies available to us in the workplace to streamline processes, but with so many out there what are digitally competent professionals using? All companies/charities/social enterprises/communities are welcome to make an application, if we feel that your organisation are making an impact for the better you will be considered. Our 2018 venue is to be confirmed. The event will take place downtown and will be carefully selected to represent our value in the networking element of the show and to offer maximum audio visual impact. To explore sponsorship & partnership opportunities with the event please contact Sam Button at sam@roar-media.co.uk who can further assist with any questions related to packages available. All event profits go towards our selected charity partner. "The insights, intelligence, and collaborative contributions that Chris [Event Director] has applied to numerous conferences and publications have made those events very special for all of us. I look forward to many more great things from Chris in the years to come"
Tickets for The Tech for Good Gathering are free, we only ask that if you register that you have every intention of attending as we are limited with space. If you register and are unable to attend please let us know no later than one week before the event taking place. Venue information is to be confirmed but will be central London. The event will run from 16.00 - 19.00 and feature six presentations, a panel debate and plenty of networking in between as well as some light refreshments being served. 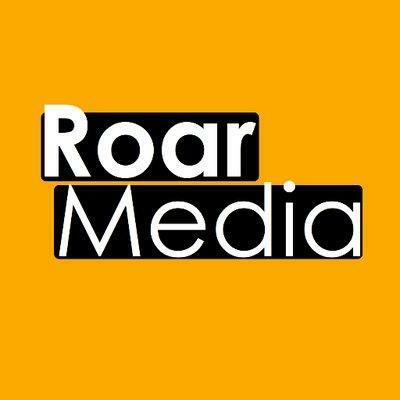 Roar Media Ltd. is a global operating organisation headquartered in London, UK - we specialise in creating & curating technology platforms for organisations to come together and collaborate, share ideas and build relationships that go beyond an event. We hold our technology events around the world, bringing together the leading minds in digital.